Joseph Black (1728-1799). Caricature of the Scottish physician and chemist Joseph Black. Black is best known for his development of the analytical balance and discoveries of magnesium, latent heat, specific heat and carbon dioxide. 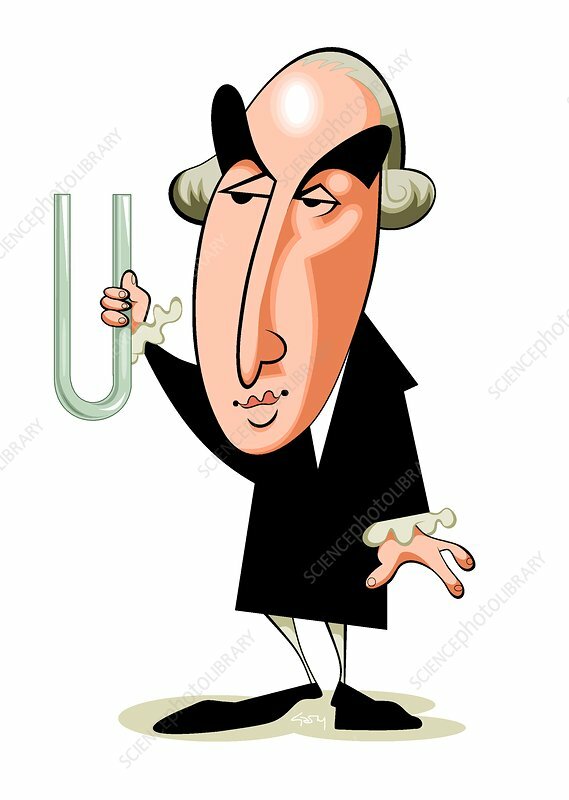 He developed the analytical balance (1750) based on a light-weight beam balanced on a wedge-shaped fulcrum. Each arm carried a pan on which the sample or standard weights was placed. It became an important scientific instrument in most chemistry laboratories. The theory of latent heat (heat absorbed or radiated during a change of phase at constant temperature and pressure) marks the beginning of thermodynamics. This all proved important not only in the development of abstract science but in the development of the steam engine.